There are 24271 posts in this topic. You are on page 363 of 486. What purpose do the weapons serve in gameplay. 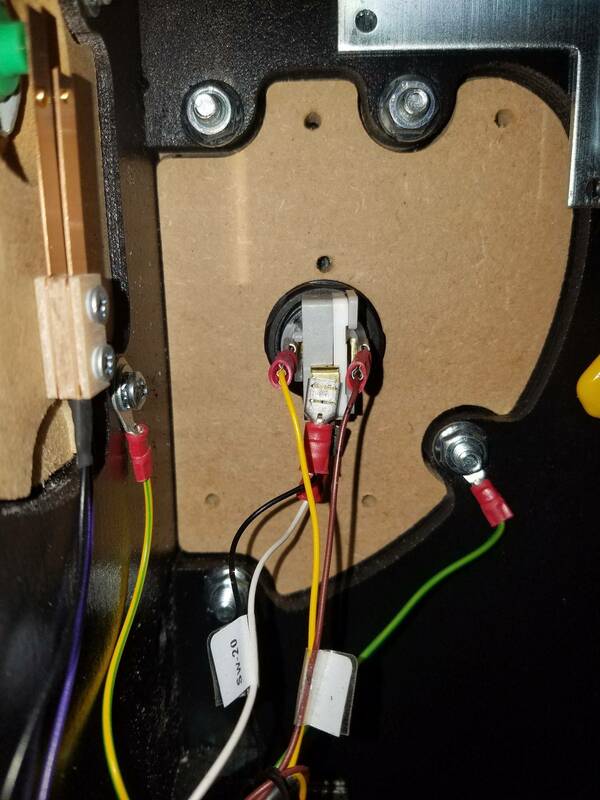 I've got to figure out what's wrong with my button and why it's not lighting up. Sorry, I don't know why your Launch button isn't lighting up. I hope the weapons add a fun new dimension of play to those who choose to explore them! If you want to pretend your a doomed space marine, why not go with Vasquez? At least she was a badass. 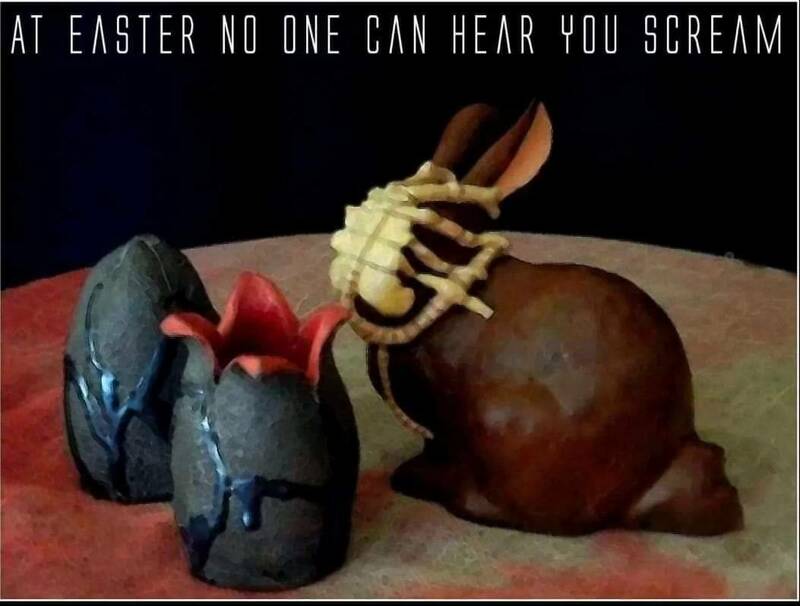 then u have to sleep with that goof with the thing hanging off his hat, and hes a man I enjoyed all the Alien films, thats right all of them but the marines are my least favorite part of the whole thing. When I get one then its all me in the lead role, forget about the marines and Ripley. Attaching how launch lights when a gun is available as mentioned by ferret. Its unfortunate that people are still running into mostly proto games in the wild. I feel like the production games adds so much more to the experience. 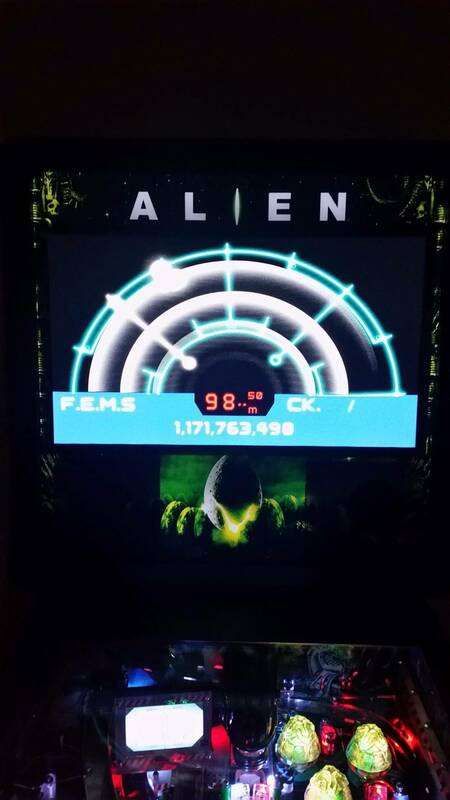 A working Xenomorph is a big deal and going from code .94 to 1.02 is a pretty big jump a well. Does anyone see the side illuminated blades lighting up, dimming, tuning off and on in modes modes? so after some further testing, the distortion that occurs on my embedded PF monitor happens automatically after the machine has been on for a hour or more. It happens everytime, not initiated by anything. 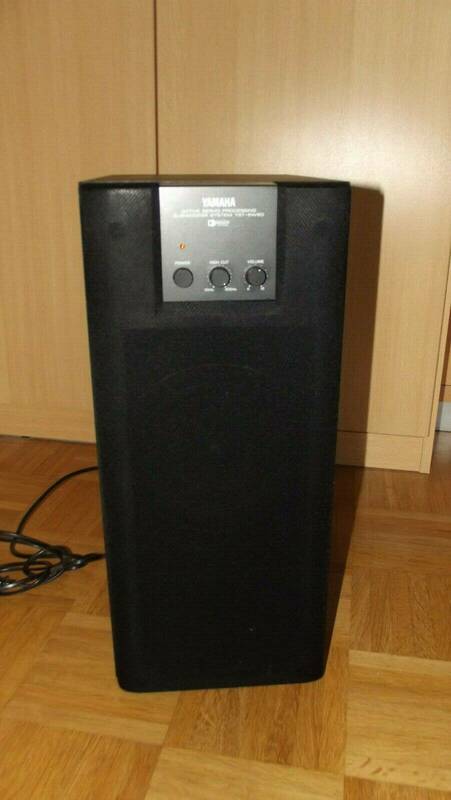 I can just leave it on and come back and hour later and that distortion is there. The image that is distorted over the correct image seems to be interference from another screen (usually the main one with stats). I wonder if it's a CPU overheating thing or something to that effect. Will try VGA connection when it arrives (this is DVI). Glad games are going out. Hope you guys who have been waiting get made whole. Would like to own one someday. But, man looking at the pics, the builds remind me of a home brew setup. I can see how some of the inside pics could give you this impression but it's built solid. Absolutely smokes stern. 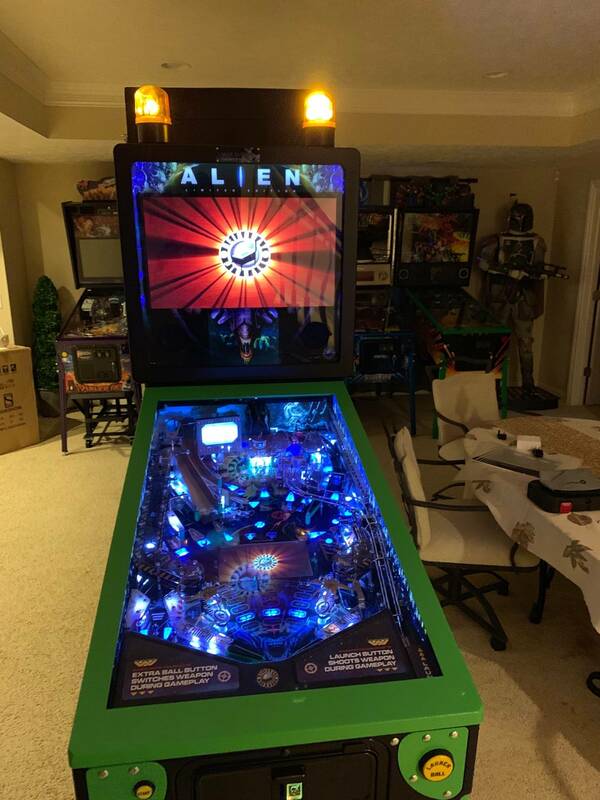 I would say same playfield as JJP although jjp wins the complete package but farthest you can be from Homebrew. I should have been clearer. Don’t mean any offense. I’m just talking about the wiring pics. 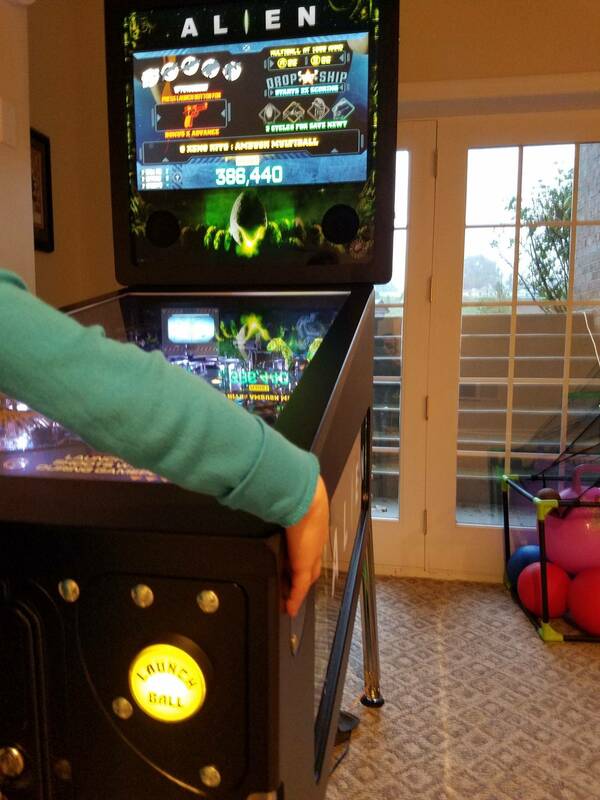 Cab and playfield look good and the game looks like fun to play. 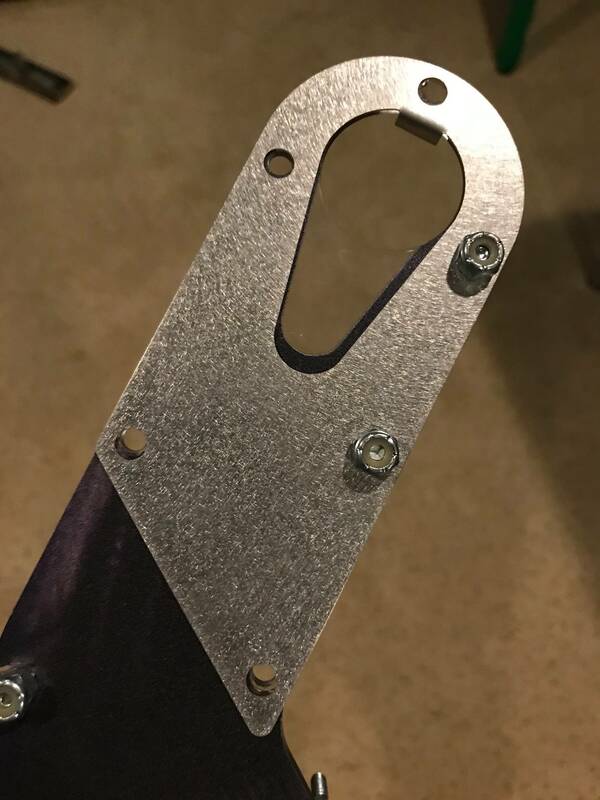 The metal parts look about 3x thicker than the last new stern I owned. The tweaks or adjustments seem on par with my expectation from any nib. I'm sure expectations vary; this guy is a happy camper. No I got you. Welcome all input here. 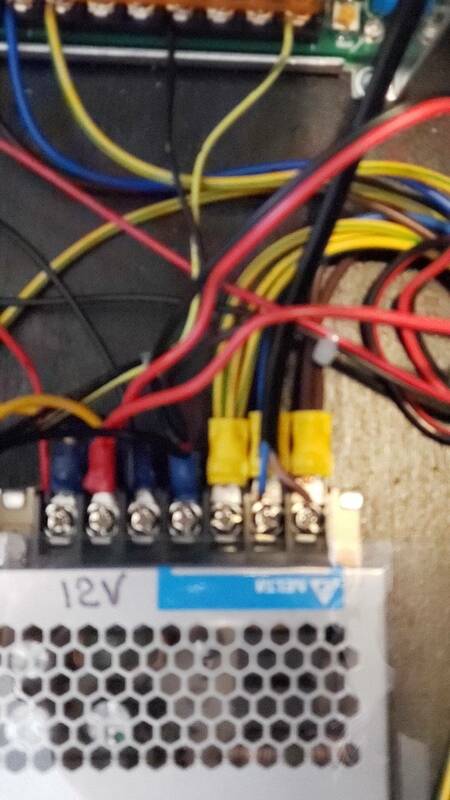 Point is, the wire harness doesnt have a clean look. I put it low on the priority scale but I hope at some point it gets cleaned up a bit. Overall the game looks solidly built, just a few areas to tidy up. The metal parts look about 3x thicker than the last new stern I owned. don't make this thread another vs Stern, its built well and thats a good thing, WTF does Stern have to do with it? I don't see any issue with comparing against the leaders in the industry so that others understand what HP is doing. He's just using them as an example since most have experience with stern. Ur probably right, metal parts are of great concern to most buyers, anyone know the exact specs on the metallurgy used in HP games vs Stern? it would help with future purchases, come on man. You're right. Thanks for trafficing the thread for others and confirming what's important for them and what's not. Appreciate it. Take it easy. It's a point of reference. 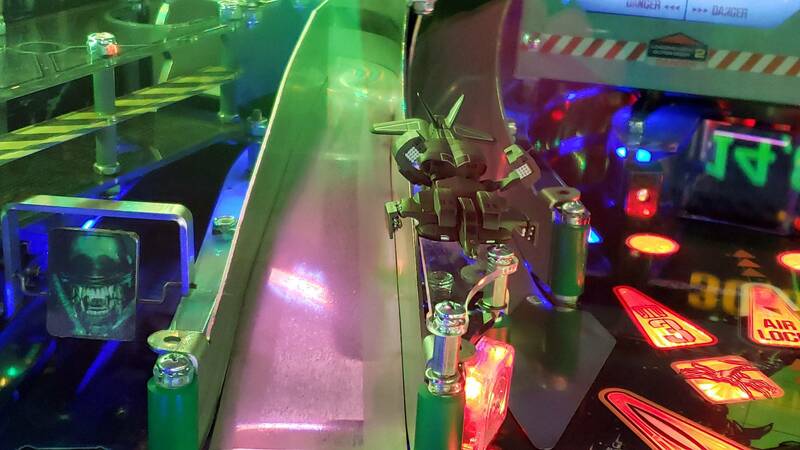 The heighway mechs are substantially thicker metal than the current market leader. I don't see jjp or any other current brand pins every day so I can't make a comparison. Build quality matters to me and has influenced my pin purchases. But, she's only 17! Haz the perv! Weak metal, agreed....reinforced hairspray...evident....too funny!!! 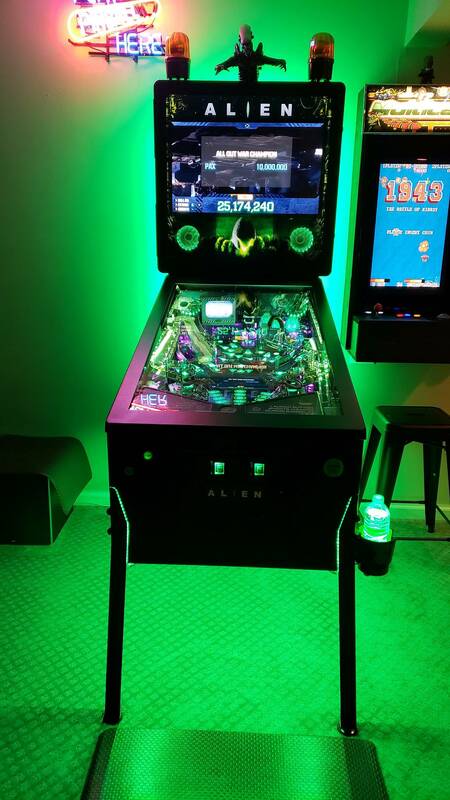 Finally got mine up and running other than the xeno. It's a fun game when it works. 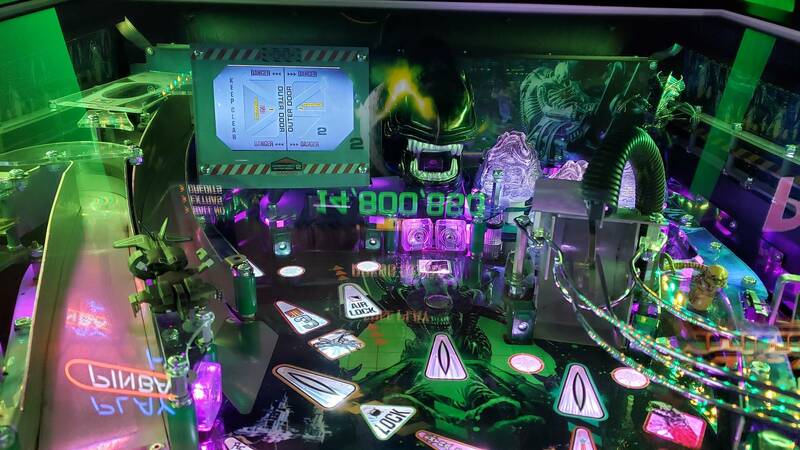 This is what you can accomplish when multiball never shuts off. I finally got tired of playing and shut it off. I've had it happen several times now. Wondering if this is a stuck switch or possibly a code problem. Anyone else experience the same thing? Hate to mention it, have you manually removed all balls and counted them? 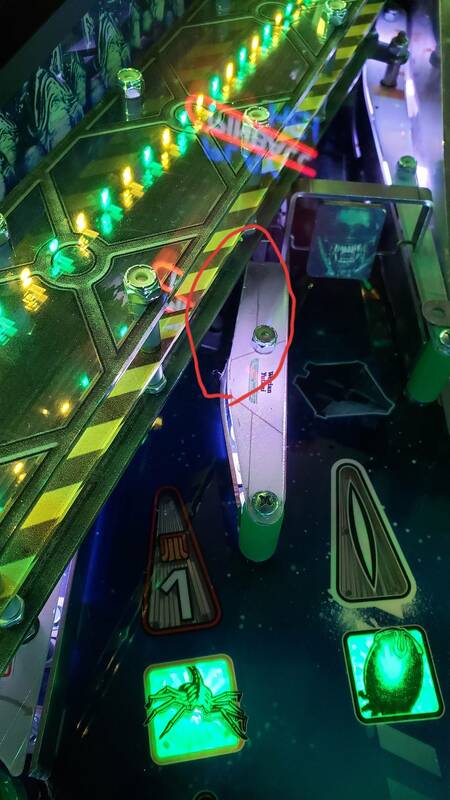 Funny you mention this yes hyper sleep multi-ball is attained through hitting the left upper ramp with the right upper flipper and locking three balls I just got that multi-ball for the first time today and it was endless the scream again lights were flashing and kept spitting out balls, I had to shut the game off so it's definitely a code bug. Basically the scream again ball timer never shut off, that needs to be addressed in the code update. I've never experienced this during the normal Xeno multi-ball hitting the two targets up the center there. Man...seems like there is a lot to do...once the bugs are squashed this will be a must have!!! Are machines currently shipping? 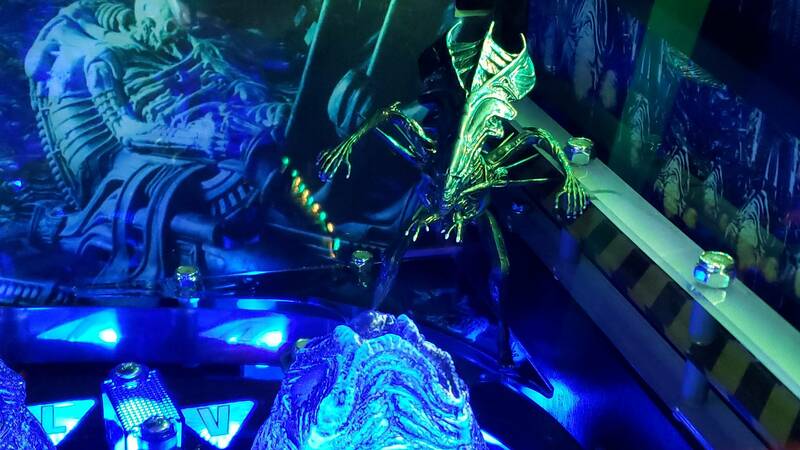 Is Heighway Pinball in full production? One mailed Morgan last week with no response. Ordered a Le years ago. So far mine has never done this. Oh...and I fixed my launch button light ...loose bulb. Oh...and I fixed my launch button lite...loose bulb. Bu chance did you have Sentry Guns Multiball running at the same time as Hypersleep Multiball? The only cause I'm aware of for infinite ballsaver is a hyperactive outlane or trough switch, but if there's some other issue (like a software bug), I would love to fix it ASAP. Meanwhile, I apologize for the inconvenience. Before you shut the game off, can you go through steps to download data and send file to programmer? He mentions steps earlier in thread. Will try again and see what I can do. Any idea where to find the USB drive? 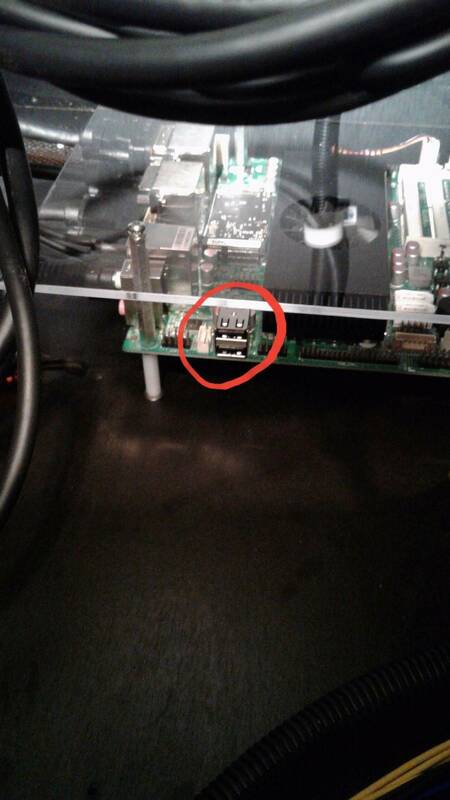 I believe the usb drive is on the PC in the back of (inside) the cabinet. Its on the perimeter of the PC. Agreed - much easier to run usb extension from that port to the front of your machine. Anybody have any success fixing random resets? Extremely frustrating. 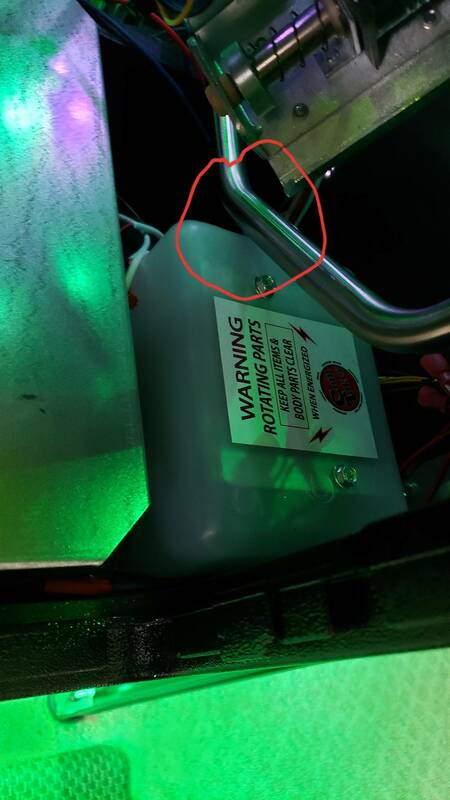 -ball launch inconsistencies, and light not working. -both "revive" and "scream" insert lights out, and one GI bulb out near left flipper. -very dirty ramps that had to be cleaned and polished, along with a burr that would've made contact with a ball if not filed down. Since ours will be a location machine, these random resets are extremely frustrating. We're really excited for people to play it, because it's a very fun game, but this issue needs to be resolved ASAP. 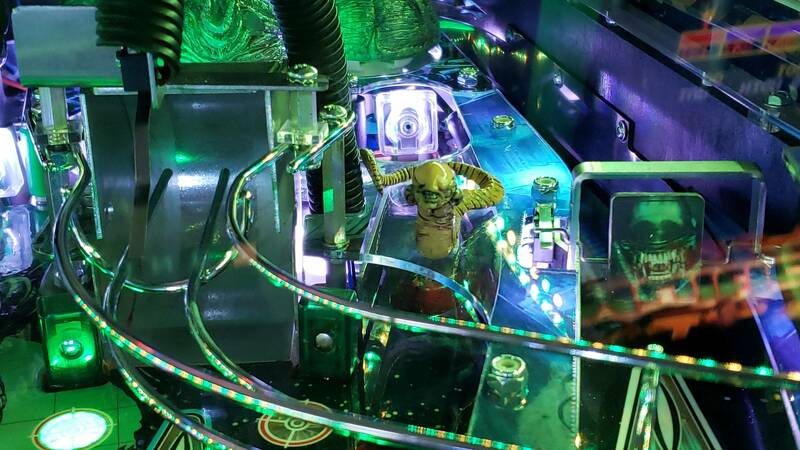 Bottom line, PLEASE Heighway Pinball, institute some type of QC! I know most companies NIB machines need some sort of adjustments, but this is ridiculous. Cointaker has been emailed with these issues, just wanted to see if any new owners have any fixes, thanks. I am having random resets also. 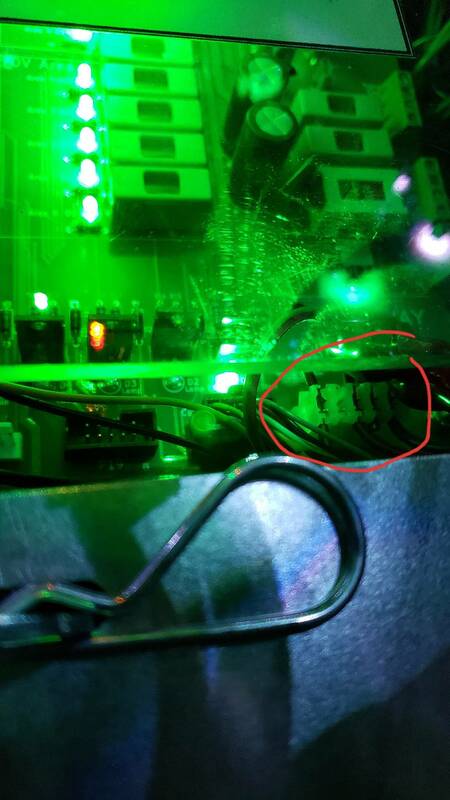 I have reseated all connectors on cpu and power supplyand turned shaker power down to 30 and also turned down power on gi lights . So far so good. Could be a power supply issue. 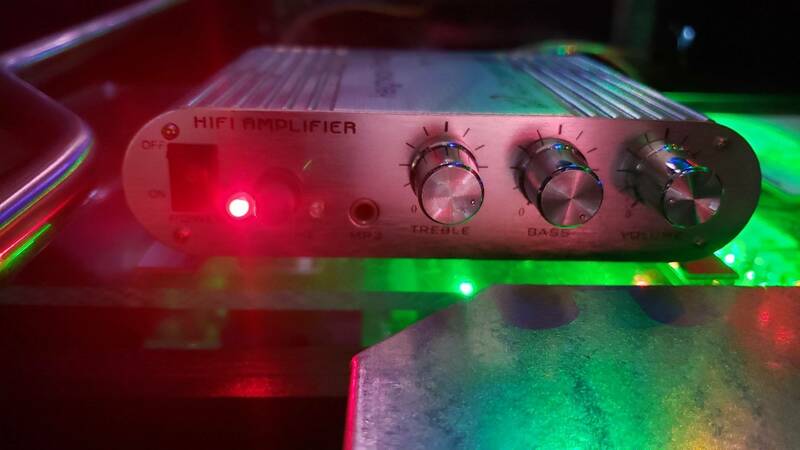 A friend of mine who is a great Pinball tech is going to meter the power supply to see if it drops while playinga few games. Is this the usb port where I should plug the thumb drive in? Yes - that's where I was planning on plugging into. I'll try your suggestions tomorrow, thanks for the quick response! I had a killer game after did those adjustment, no reset. For those with random resets: is it resetting immediately back to attract mode, or is it resetting to the PC’s BIOS (“American Megatrends” or whatever)? Also, are you doing anything noteworthy when it resets (e.g. 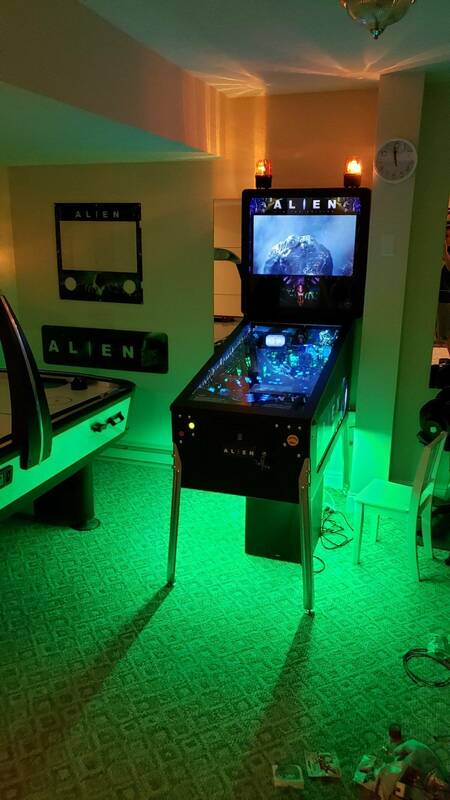 multiball)? It appears to be doing a full reset back to BIOS. 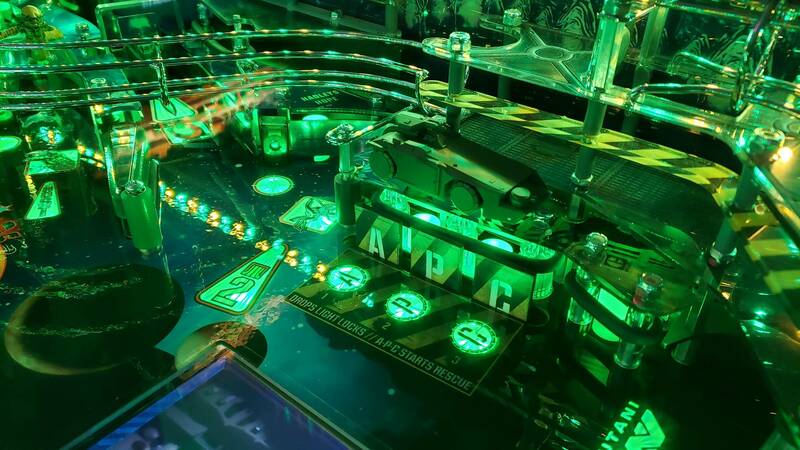 Our resets have happened in AND out of multiball, as well as soon after a game is over. The most recent was right after I put my name up for a high score. Do you have a shaker motor installed?